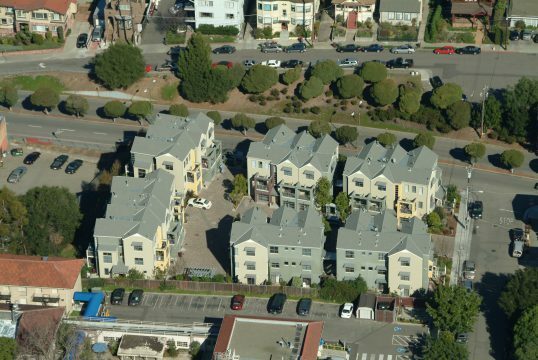 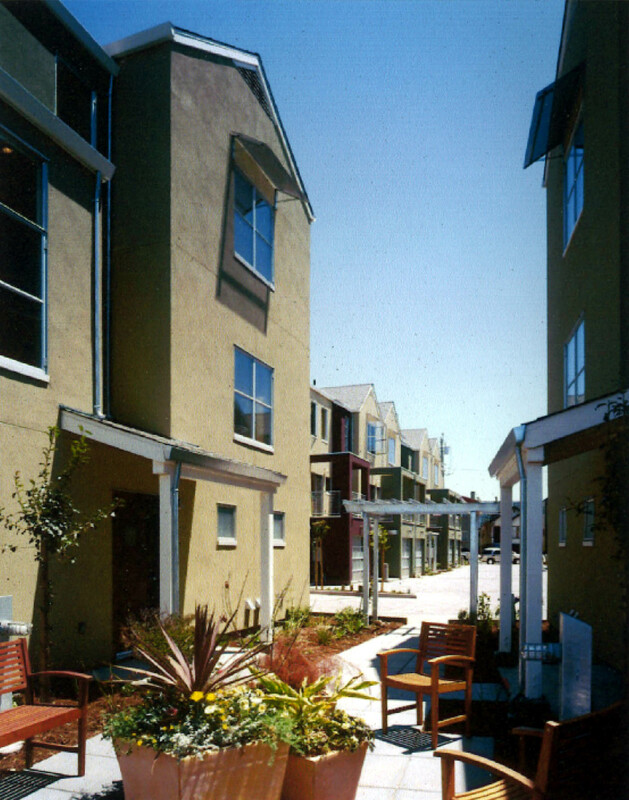 Piedmont Commons is a 19-loft/townhouse development in an established residential neighborhood. Each unit measures 1,200-1,400 sq. ft. and has a bedroom on the ground floor. 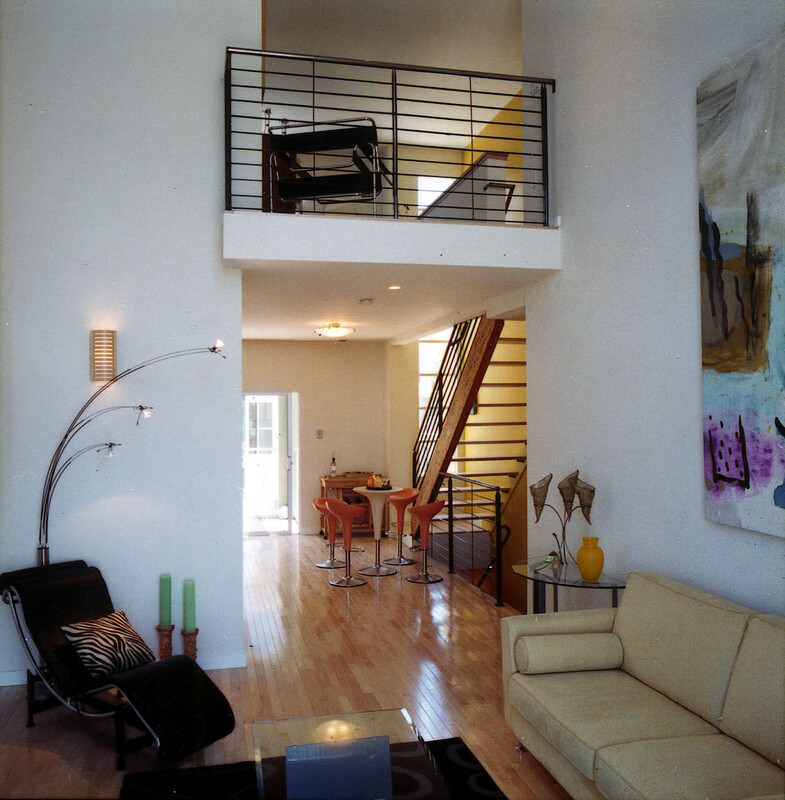 The units are three stories, with an enclosed garage/workspace, an open living, dining, and kitchen area, and a master sleeping loft overlooking the living area below. 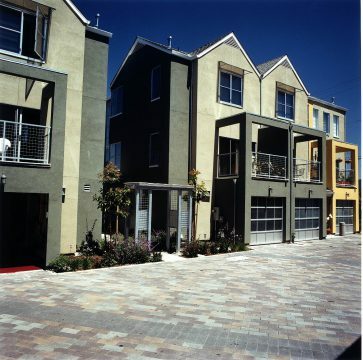 Residents access the units via a private lane that functions as both pedestrian entry and driveway. 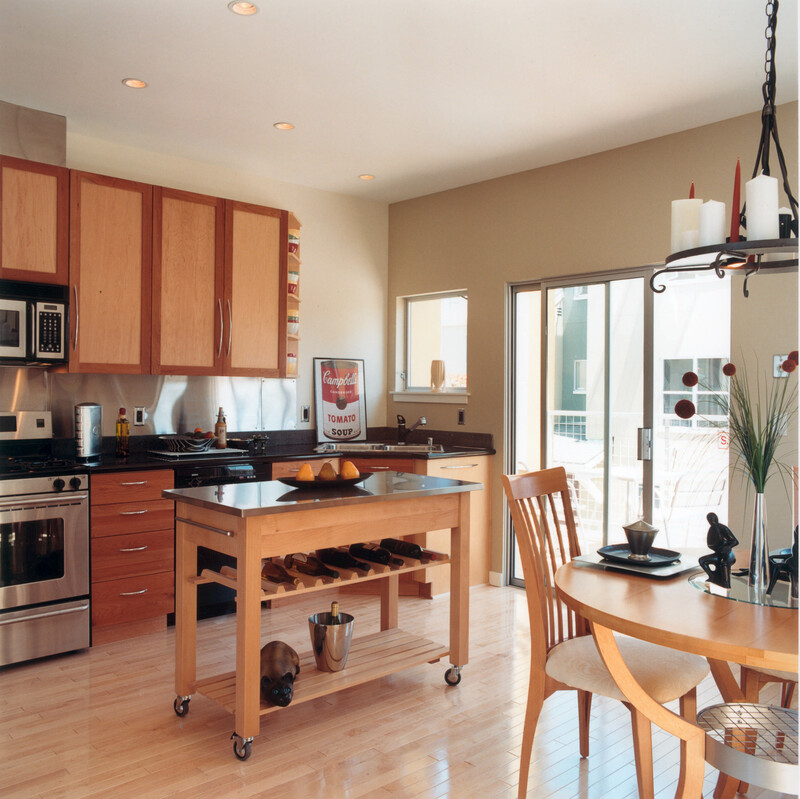 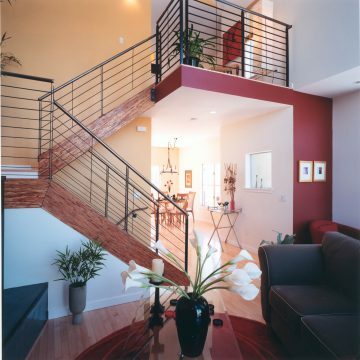 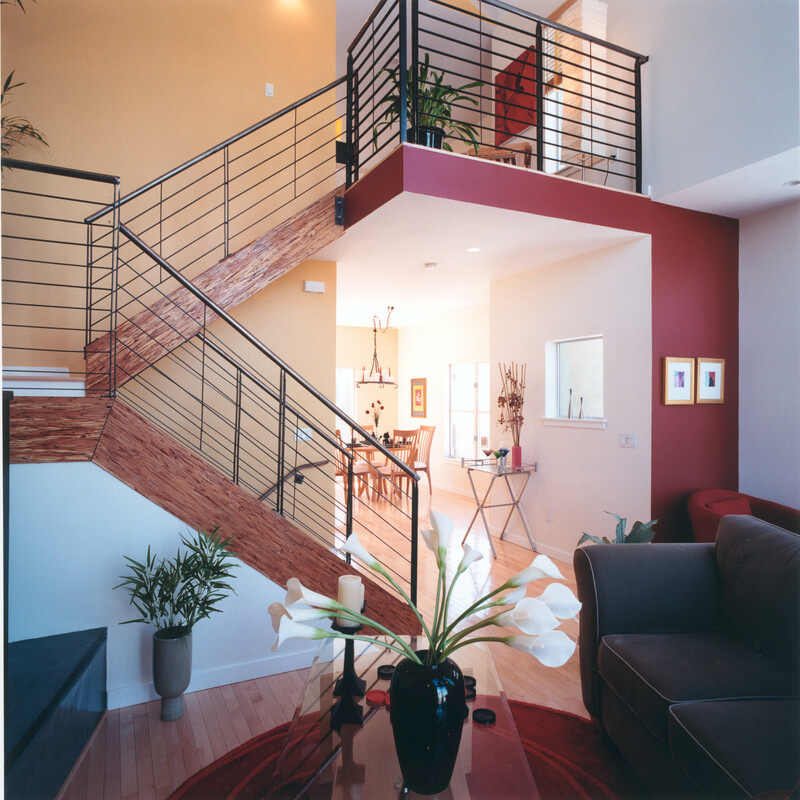 Create multipurpose, open floor plans for multi-family units with spacious yet efficient work and living areas. Develop community of loft/townhouses on an infill lot in an established residential neighborhood.